Georgia Dance Theatre, a civic, non-profit organization, was founded in 1990 by Artistic Director, Sherri Davis. The organization uses dance and the performing arts as an innovative vehicle to educate and inspire the artist within. The objective and mission of this company is to provide high quality arts education, programs and performances by providing valuable arts experiences and quality dance training to children and families of all ages, abilities and socio-economic levels. Additionally Georgia Dance Theatre provides an intense study of dance and an opportunity to perform, while offering an avenue for those interested in pursuing a professional career in dance and the performing arts. As an organization, our goal is to advance the arts within our community and outlying areas by increasing visibility through community involvement. Additionally, we educate, cultivate, and promote exceptional, well-rounded artists who will become the next generation to reach the professional level in their chosen area of the performing arts including dancing, teaching, choreographing, directing, arts marketing, arts administration, and more. Additionally, Georgia Dance Theatre exists to provide high quality dance programs to those who typically lack access because of physical ability, geography, and economic status. We actively engage our community and under-served audiences by partnering with school systems as Partners in Education, providing Work-Study Mentorship Programs, Arts Gives Outreach programs and Dance Without Limits to children with Special Needs. An additional objective of this company is to provide the serious student an intense study of dance and an opportunity to perform, while offering an avenue for those interested in pursuing a professional career in dance. This scholarship program provides over $165,000 annually in educational and training opportunities in the arts for accomplished dancers. 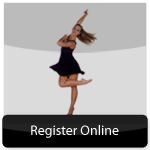 In 1996, Georgia Dance Theatre Professional Company was established in order to expose these students to a higher level of dance with opportunities of professional careers in dance. Since its inception, Georgia Dance Theatre has presented various productions to the community including In the Spirit of Dance. This series of performances showcases various choreographers presenting their original works of contemporary and classical dance in concert format. In addition, Georgia Dance Theatre, in association with Georgia Academy of Dance & the Performing Arts, is proud to present family favorites such as The Nutcracker Ballet & The Nutcracker Tea. The Company has presented this family classic to sell out audiences in neighboring communities. The Company is also proud to be the only recipient of co-sponsorship of it’s production of The Nutcracker Ballet by The Endowment Committee of the Cultural Arts of Fayette County. 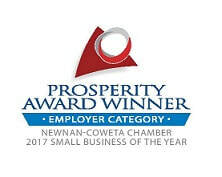 In addition, the Georgia Council of the Arts has awarded this performing company with financial support for its high quality of professionalism and level of community education in the arts. Georgia Dance Theatre presents the only interactive performance of The Nutcracker Ballet with its production of The Nutcracker Tea – which introduces all children attending the event the opportunity to perform with the dancers. 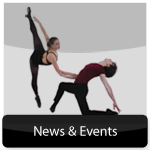 Additionally, the company is presented in several productions throughout the season with those performances consisting of classical ballet, contemporary and themed Early Childhood genres. Georgia Dance Theatre continues to be an innovative and highly respected company focused on reaching new audiences with its repertoire of the classical to the original.The company has also made a commitment to give back to the community by extending its talents to benefit performances. These include performing for the terminally ill of Egleston Hospital, guest appearances with the Portrait of Hope’s presentation of Hope…for the Children, which raised $35,000 to benefit Christian City’s Home for Children, and Dance for the Children, a benefit to help mentally and physically challenged children of the Joseph Sams School of Fayette County. 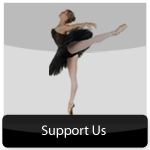 In addition, Georgia Dance Theatre supports various local charities that protect and house children of abuse and neglect. It is not only generous individual and corporate funding that has allowed this company to produce such varied entertainment, but also the enthusiastic support of the community. We are very grateful and honored to be the recipient of such support. Most of the alumni of Georgia Dance Theatre have received scholarships to colleges in dance programs or have elected to continue their education in the area of the fine arts in some capacity. Several Georgia Dance Theatre alumni are professional dancers, educators, choreographers, actors and directors in the field of dance and theatre. In addition, Georgia Dance Theatre members are awarded acceptances and scholarships annually to outlying professional summer dance programs as well as yearly invitations to continue their dance education in pursuit of a professional career in the arts. Volunteerism and financial support ensure that all children may be educated in the arts – we hope you will join us as we continue to pursue this quality of excellence for our community. It is the goal of the artistic staff of Georgia Dance Theatre to provide every child with the opportunity to pursue the artist within. THANK YOU TO OUR SPONSORS & THEIR SUPPORT OF THE ARTS IN OUR COMMUNITY!